Are progressive jackpots the next big thing in online casino games? Within the past couple of decades, the advent of the internet completely changed how we go about our lives and everyday activities, including communicating with each other, getting informed, and getting access to entertainment. Gaming could be no different: the online gaming community has grown beyond what anyone could have imagined and online casinos are steadily taking over. 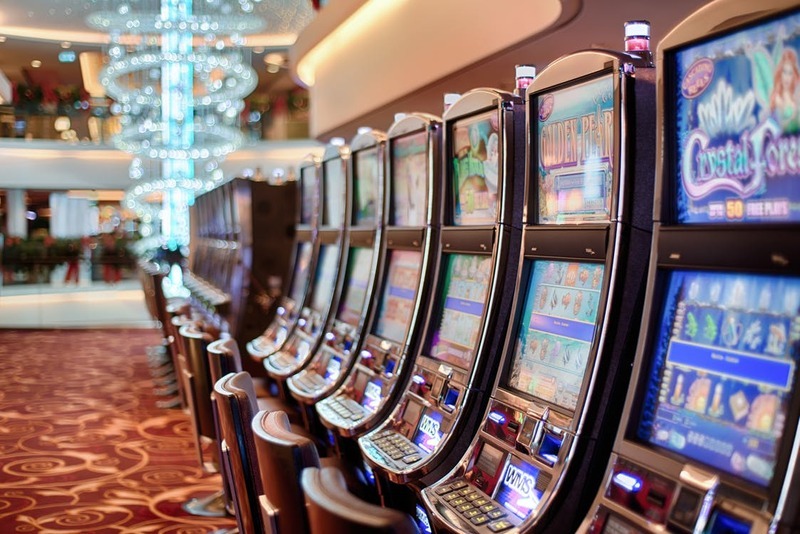 A new type of online slots that feature a progressive jackpot is widely considered among the most appealing online casino games at the moment - but what exactly are they? Perhaps the most crucial aspect of progressive-jackpot slot games is that a player can win an incredibly high sum of money just by one spin - like Jonathan Heywood, a British soldier who won £13.2 million (more than $18 million) in October 2015 in a jackpot when he played on the Mega Moolah slot. This is possible thanks to a very simple yet defining element of these games: a jackpot prize pool that keeps increasing every time a player spins the wheel. Out of every bet placed, a small percentage goes to the progressive jackpot of the particular game, which means that as long as people keep playing, the final prize keeps getting bigger. Once a player hits the jackpot, they take home the money and the jackpot returns to zero - and then continues to rise as players continue placing wagers. In some variations of the concept, the player only wins a percentage of the jackpot, so that other players can get a chance quicker. This prospect of a very high prize that is not determined in advance but is just getting bigger with each spin is what instantly draws players to progressive jackpot slots. In Canada, where gambling yields $13 billion annually in revenue and a study found that in 2011, the average adult Canadian spent $515 on gambling-related pursuits - and progressive jackpots are becoming a big hit. We've already seen a rise in themed online slot games, such as the mythology-inspired Rise of Poseidon and the cute Whale o'Winnings at JoeFortune. However, we are beginning to see more and more jackpot slots being themed too - and we predict they will soon be branded too. Another catchy element of progressive jackpot slot games such as is that the players have access to the jackpot meter in real time - some casinos even display it on the home page of their website. This gives people the thrill of seeing the jackpot prize rise live, but also the opportunity to decide which slots they want to play, to try their luck at the jackpot. Even though the odds of winning are the same regardless of the amount in the pool, people usually like to go for the games that will give them higher returns when their luck finally strikes. Progressive jackpot slots usually come with an interesting and captivating theme and stunning visuals, in order to entertain players. For example, one of the most popular online progressive jackpot slot games is the Dark Knight. Based on the 2008 film in the Batman Trilogy directed by Christopher Nolan, that also inspired other successful games like Batman Arkham Knight, the slot game quickly became one of the absolute favourites of online casino players around the world. Progressive jackpot slot games seem perfect for players that like to combine the suspense of gambling online with the thrill of a prize that keeps getting higher by the second - and of course offers very lucrative returns for the lucky winners. This is why they are considered an essential part of the future of online gambling.